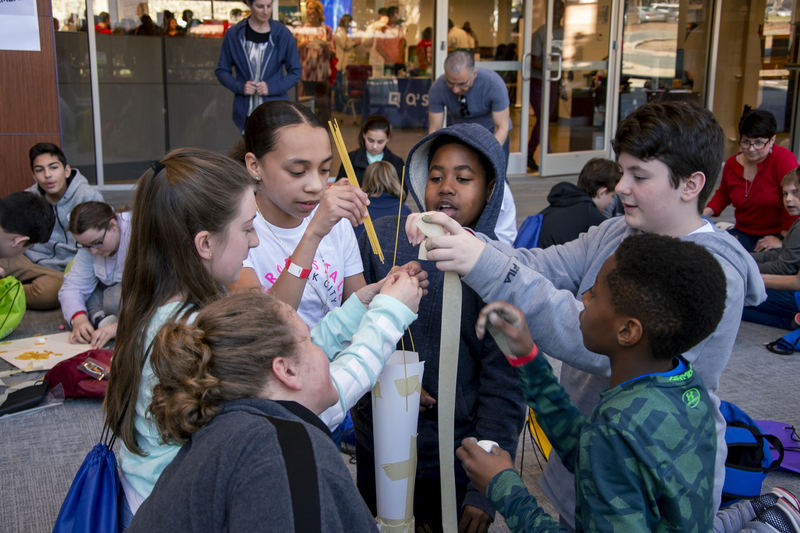 RESEARCH TRIANGLE PARK, N.C.—STEM in the Park, a program of the Research Triangle Foundation, will host its first engineering and math fest, EMFest, Friday, February 1, 2019. During the Fest, 180 middle and high school students from five North Carolina counties will discover the real-life journey to becoming a STEM professional. Think: Design thinking session where students tackle a topic posed by a STEM organization. Imagine: STEM professionals highlight their careers through hands-on demos. Build: Students participate in a hands-on STEM activity that reinforces concepts learned during the day and encourages STEM exploration beyond the classroom. These sessions will be facilitated by STEM companies from RTP and beyond, including Cree, NetApp, Red Hat, and RTI. EMFest is the second in a series of STEM Fests that are a crucial part of the STEM in the Park model and a hands-on way to expose students from around the state to the diverse range of possibilities in STEM disciplines. EMFest will take place at Frontier RTP, Building 800 in Research Triangle Park on February 1, 2019 from 9:00 AM to 1:30 PM. STEM in the Park (SitP) is a STEM outreach nonprofit with a mission to unlock and share STEM knowledge and experiences from local companies and higher education institutions with K-12 students and educators in the Triangle region, particularly economically disadvantaged, underrepresented minority, and female students. SitP facilitates STEM Fests, mentoring, tours, ExternTrips, and more for both students and educators to widen their exposure to STEM opportunities. SitP is located at Frontier RTP, Building 800 in Research Triangle Park, NC. To learn more about STEM in the Park and how to become a part of this initiative, visit rtp.org/SitP or call (919) 433-1672.